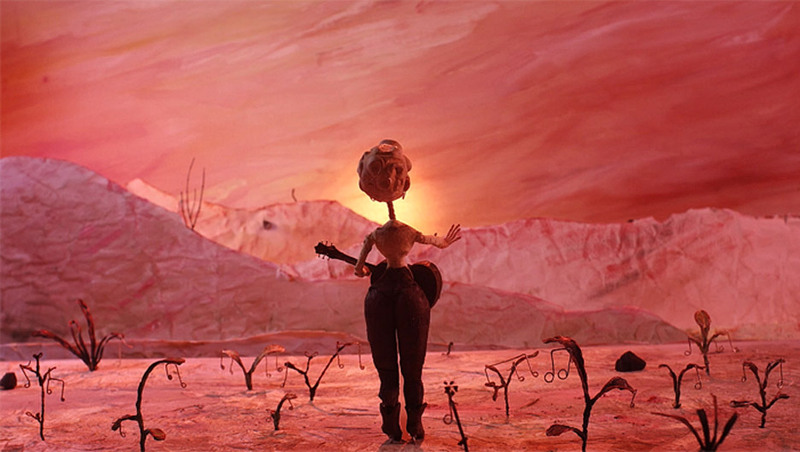 Stop motion animation of Dolly Parton is a "tale of female-confidence"
The music video for Mark Nevin's latest track follows singer-songwriter Dolly Parton as she fights Elvis Presley's manager for the rights to her song, I Will Always Love You. Animated and directed by Heather Colbert, the video accompanies Nevin's Dolly Said No to Elvis track. It is based on the true story of Parton refusing to let Presley cover her award-winning song, I Will Always Love You – later made famous by Whitney Houston. The story follows his manager, Colonel Tom Parker, trying to get the songwriter to sign over half of the publishing rights. "Mark was really passionate about championing this story as a tale of female confidence, and self-belief, as it must have taken so much strength for her to say no to 'The King' at that point in her career," Colbert told Dezeen. 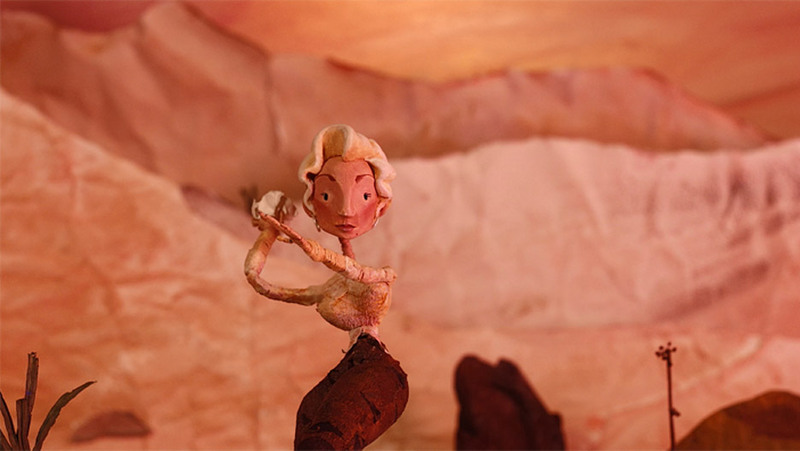 Colbert, an animator based in Cambridge, had previously worked with Nevin on another stop-motion music video, Sparks (Edith Piaf Said It Better Than Me). For the new video, Colbert wanted to make the puppets change size as the video progressed, to represent the shift in power between Parton and the Colonel. "The idea that the size of the puppets would denote their confidence and control in the situation came from my listening to the track over and over and finding where the shifts in power fell in the narrative of the song," she said. "Once we had agreed on the metaphor – using size to denote confidence – it was very interesting to create these polar opposite characters and work out how to show the balance of power shifts through the track," she explained. The film begins with a young Parton being approached by the Colonel in a setting that resembles the American frontier. He arrives in a golden Cadillac, which has a silhouette of Presley in the back seat. Parton contemplates giving away her song, which is depicted as a red musical note, but changes her mind after he hands her a long contract. She rips up the contract and seemingly grows in size – an act that is meant to represent her growth in confidence. A giant Parton picks the Colonel up and throws him onto the ground. The film ends with a 2D-animated montage of Parton passing her song onto Whitney Houston, before strumming her guitar into the sunset. Filmed on her grandmother's dining room table, Colbert made the figurines from plasticine, wire and thread. Keen to give her protagonists memorable characteristics, she gave Parton an exaggerated hourglass figure and the Colonel a cigar. "Drawing them repeatedly usually helps highlight the features that will be most important in identifying Dolly as Dolly, for example," she explained. "For the Colonel, it became his portly frame, Stetson hat and a fat cigar. For Dolly it became her hourglass figure, heart-shaped face and that extravagant hairdo!" She also wanted the puppets to have dexterous hands and gave the Parton puppet particularly "delicate digits". The set was made from a combination of card, paper, fabrics and natural materials like moss and flowers for the foliage. "I used real moss for some of the foliage because I wanted to play with the contrasting textures of delicate paper and living plants," said Colbert. Differences in puppet size were achieved using discreet camera angles. "I also experimented with shooting a double exposure with different lighting for the scenes where the shadow of Dolly grows," she said. "This was my second professional stop-motion commission, so I wanted to really push myself to animated a bigger, more emotional story than I had attempted before. And to leave the audience with a definite feeling of warmth for Dolly's badass-ery!" Heather Colbert graduated from Cambridge School of Art in 2016. 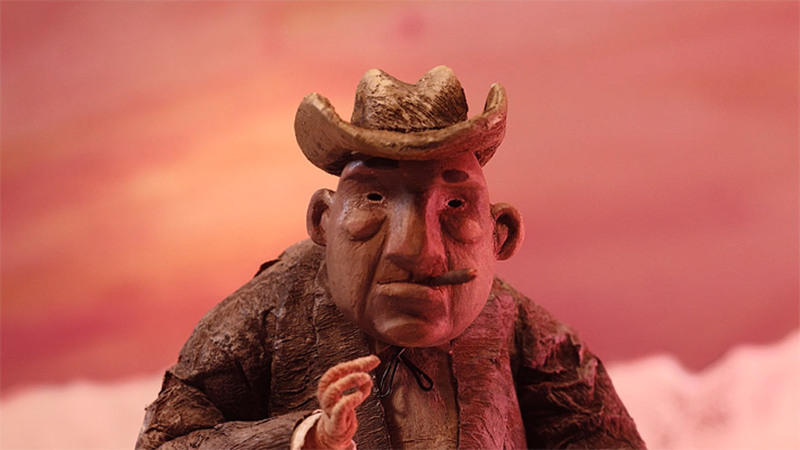 Other artists experimenting with stop-motion animation include Rafael Bonilla, who created a world filled with surreal animated creatures, and Dropbear Digital, which turned paper cut-outs into a stop-motion music video for John Butler Trio.